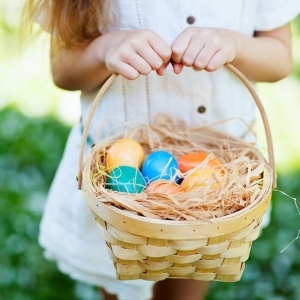 Home to both Allsopp and Knoop Parks, Hillcrest has long been loved for its abundant natural beauty. 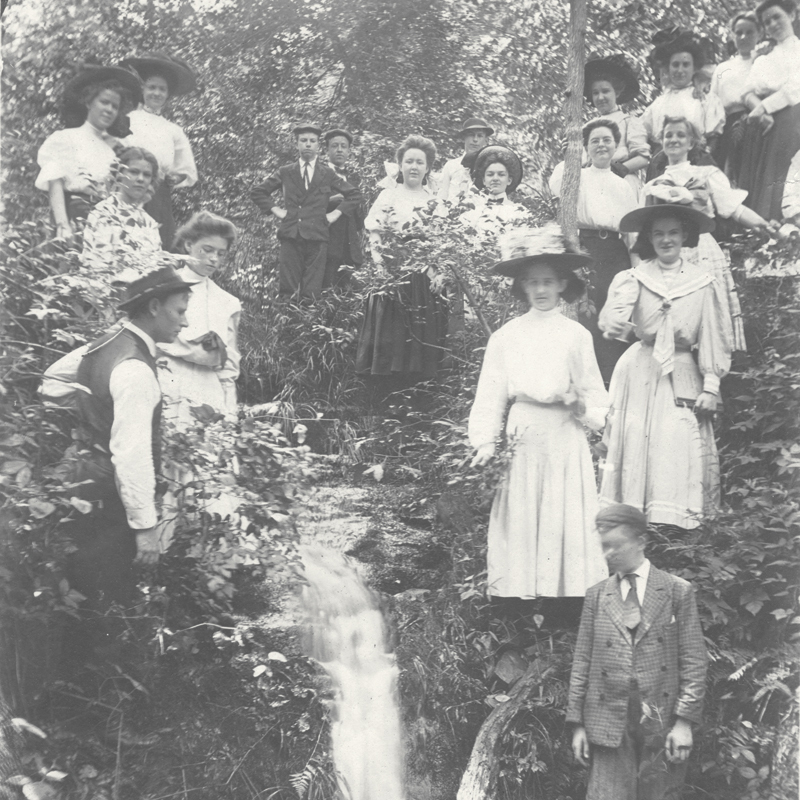 This undated photo shows a geography class on a field trip to Pulaski Heights. Once a wooded plot of land far from the center of town, the area that came to be known as “Pulaski Heights” is now a vibrant place for shopping, dining and nightlife, with a chummy, neighborly vibe that overlays the eclectic architecture. Hillcrest and Heights residents walk. 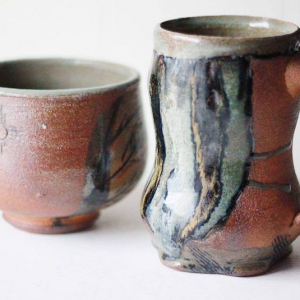 They walk to their favorite restaurants and stores, parks and galleries. They walk to their friends’ homes and they walk their kids to school. 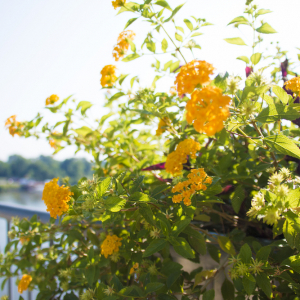 It is a shady place to promenade on the way to patio gatherings, pre-game and post-game parties or the “Shop n’ Sip” events hosted by Hillcrest merchants the first Thursday of each month. Tied together by Kavanaugh Boulevard, Hillcrest and the Heights have their separate personalities, but together they comprise one of Little Rock’s oldest and most beloved areas to live. Incorporated in 1905, Pulaski Heights marked the beginning of Little Rock’s expansion to the west, a shift that has showed no signs of slowing as the city continues to grow toward the setting sun. Until the arrival of streetcar lines from Little Rock in 1903, the area existed as a mostly uninhabited, wooded stretch. Since purchasing an initial 800 acres in 1891, Michigan lawyers H.F. Auten and Edgar E. Moss had been eagerly awaiting the streetcars’ arrival. When electric-powered lines began to run up Prospect Avenue (now Kavanaugh Boulevard), Pulaski Heights’ development was off and running. In just a couple of years Pulaski Heights grew from fewer than a dozen families to a town of more than 300 by the time it was incorporated on Aug. 1, 1905. Sidewalks, schools, churches and businesses, including a newspaper, quickly followed as Pulaski Heights, touting its natural, outdoor beauty, attracted homebuyers of many different income levels. 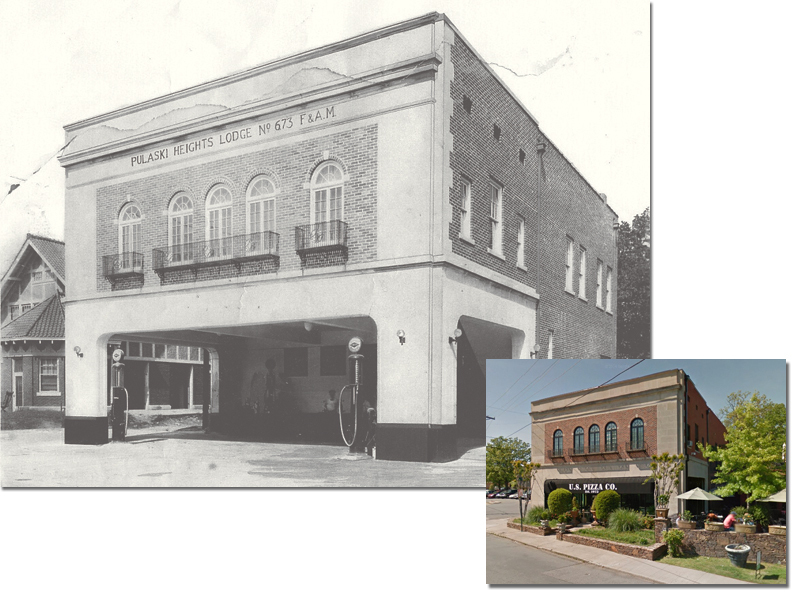 Considered Little Rock’s first suburb, Pulaski Heights lasted as an independent community until 1916, when the town, seeing the advantages that included a fire station, voted to become Little Rock’s Ninth ward. Hillcrest and the Heights would go on to become the distinct but attractive neighborhoods they are today while collectively continuing to draw new residents. 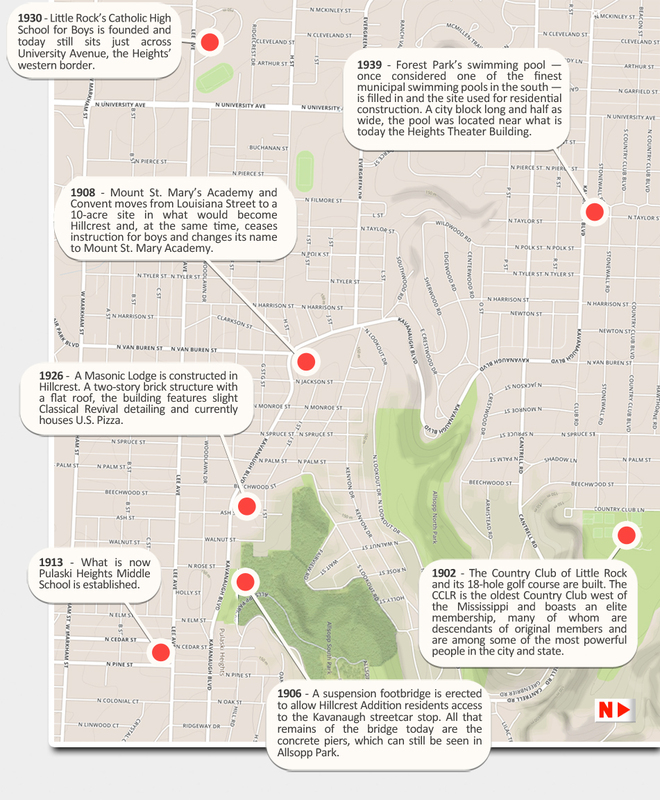 (From top): In 1908, Mount St. Mary Academy moved from Louisiana Street to Hillcrest. It is the oldest educational institution in continuous operation in Arkansas; A typing class in action at the all-girls school. The line was moved further west in 1960 when Park Plaza Mall was opened an open-air shopping center. Gus Blass opened as an anchor store in 1965, operated as Pfeifer-Blass from 1967-1974 and was rebranded as Dillard’s in 1974. University Mall joined the area in 1967. Park Plaza and University Mall competed in a neighborhood rivalry for three decades, joined by the Midtowne shopping center in 2006. In 2007, University Mall closed its doors and was razed. Midtown shoppers didn't have to wait long for a replacement once the Park Avenue shopping center took its place, with a Target, restaurants, and even residential apartments. Park Plaza underwent a massive renovation in 1987, transforming from an outdoor shopping center (complete with goldfish pond) to the glass-enclosed indoor shopping center it is today. Move the slider back and forth below to compare the two Park Plazas. Look closely and see if you can see the trees inside the 1978 version! With the influx of residents following the trolley line and the later incorporation came the need for schools and churches. 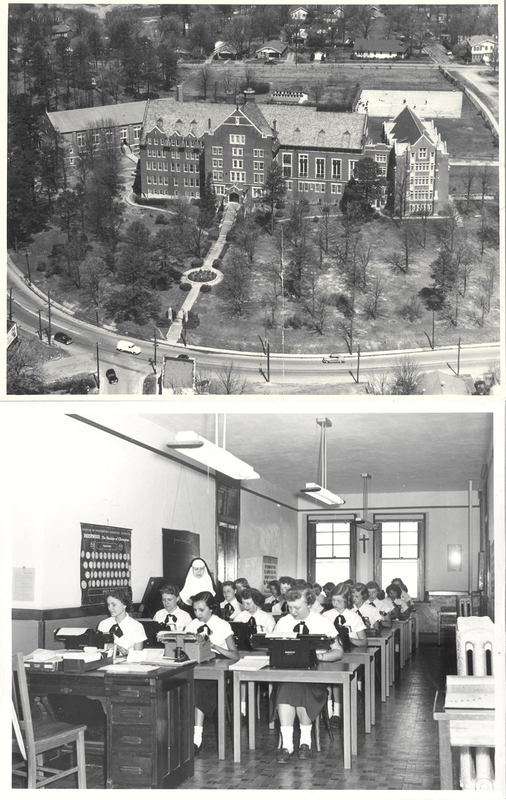 In 1908 Mount St. Mary’s Academy and Convent moved from Louisiana Street to a 10-acre site in what would become Hillcrest and, at the same time, ceased instruction for boys and changed its name to Mount St. Mary Academy. Founded in 1851, the academy continues to educate young women and stands as the oldest educational institution in continuous operation in Arkansas. Little Rock’s Catholic High School for Boys was founded in 1930 and sits just across University Avenue, the Heights’ western border. 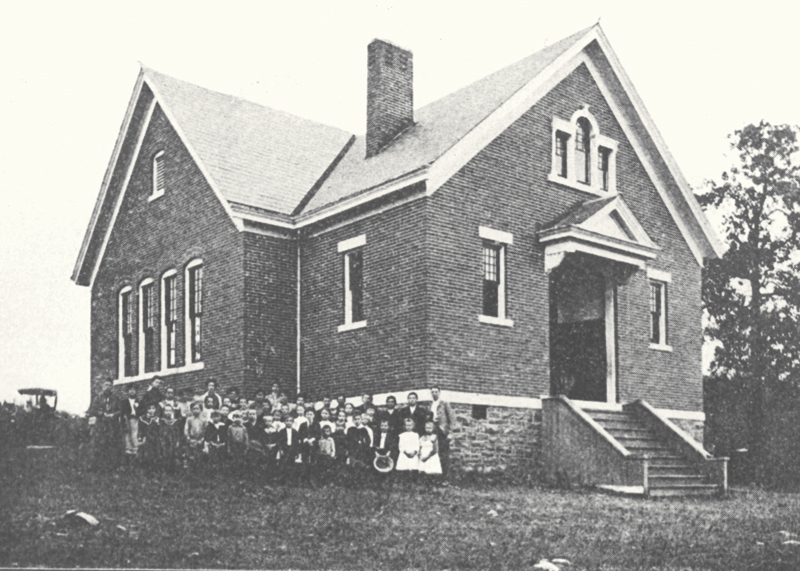 Children stand outside Pulaski Heights School, established in 1913. In 1913 what is now Pulaski Heights Middle School was established and in 1916 St. John’s Seminary/Little Rock College moved to North Tyler Street in the Heights. Closed in 1967, the seminary campus became the site of the St. John Catholic Center and is the administrative headquarters of the Roman Catholic Diocese of Little Rock. 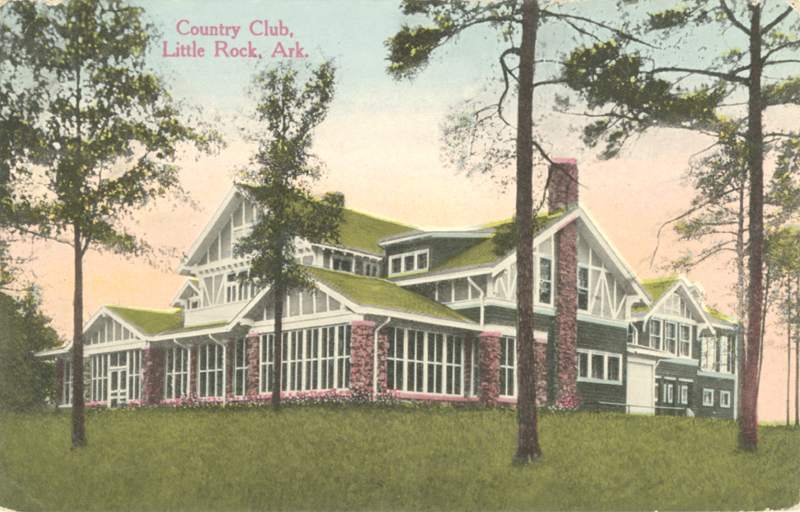 Built in 1902, the Country Club of Little Rock is the oldest country club west of the Mississippi. A number of denominations are represented in the neighborhood’s churches today, and the lineup of schools, parochial or otherwise, has grown as well, offering convenient access to educational opportunities from pre-K through secondary. Since 1886 the Little Rock Water Works have existed in some form on the promontory in what is now known as Knoop Park. 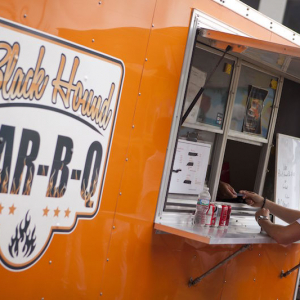 The area in Hillcrest was chosen for its elevation, which makes Knoop Park ideal for today’s joggers and cyclists and, with its view of downtown and the Arkansas River, it also is ideal for fireworks watching during Riverfest and Pops on the River. Hillcrest is also home to 150-acre Allsopp Park, which was dedicated in 1931 and named for resident Frederick Allsopp — a native of England and the one-time business manager of the Arkansas Gazette — who urged the city of Little Rock to acquire and develop the ravines near his home. All that remains of the park’s suspension footbridge (built in 1906 to allow Hillcrest Addition residents easier access to the Kavanaugh streetcar stop) are the concrete piers, but Allsopp Park still holds a softball field, tennis/basketball courts, mountain bike trails, a pavilion and playground. The Heights is home to the exclusive Country Club of Little Rock and its 18-hole golf course. Built in 1902, it is the oldest country club west of the Mississippi and boasts an elite membership, many of whom are descendants of original members and are among some of the most powerful people in the city and state. The current U.S. Pizza location in Hillcrest was once a Masonic lodge and service station. The Heights also contained a 160-acre tract set aside in 1904 as the site for a park at the western end of the streetcar line. Forrest Park featured a bandstand, carnival rides, a dance hall and gardens before it closed in 1919 and the attractions were leveled and the area reduced to 40 acres. A swimming pool existed from 1922-1939 before it was closed and filled in and the land was sold for residential development. The home of A.F. Auten, one of the Michigan lawyers who purchased the initial 800 acres of Pulaski Heights in 1891. There is no record of the other reasons immediately available, but thanks to the growth spurts the Heights and Hillcrest offer an eye-pleasing assortment of residential architecture, which is one of today’s top draws for new residents. Georgian and Tudor bungalows sit with English Revival and Craftsman houses of various sizes. Notable architects Charles Thompson and George Mann — who dominated the pre-WWII scene in Arkansas — designed houses in Pulaski Heights. Developers knew that the city and Pulaski Heights couldn’t support a development only for the rich and worked to appeal to “Mr. Workingman” with affordable homes. In part because of the absence of planner’s fees, lots in Pulaski Heights in 1903 were going for $350 as opposed to $3,500 and up in Little Rock, meaning both wealthy and medium income families could afford to live there. Yet that didn’t stop developers from blatantly making the area exclusively “whites only,” an aspect stressed in advertisements of the day. “People who desire fine homes want an exclusively white neighborhood,” read one such newspaper ad. The U.S. Supreme Court ruled racial covenants unconstitutional in 1948. In 1990 the Hillcrest Historic District was listed in the National Register of Historic Places and some individual homes in the neighborhood are also listed. Frederick Allsopp, the resident for which Allsopp Park is named. 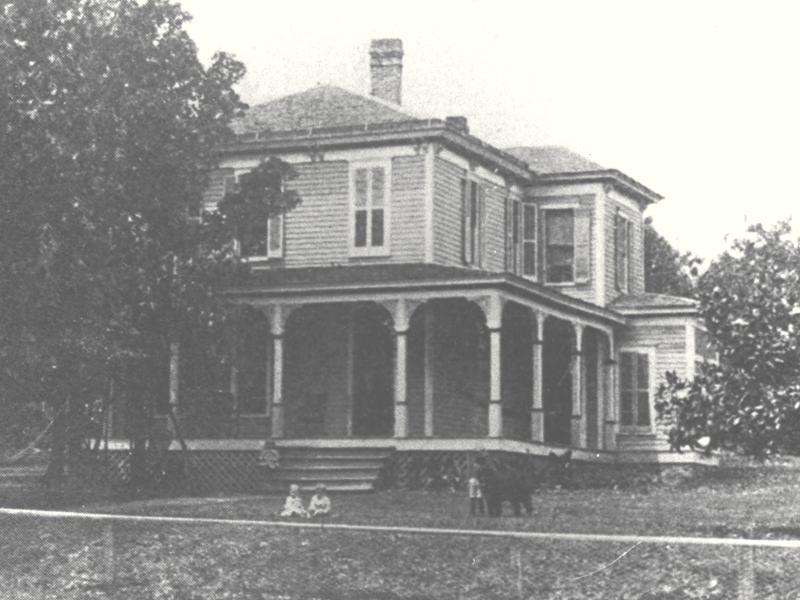 Brown’s family moved to the Monroe Street home in Hillcrest in 1932 when she was 10. The Heights is or has been home to many of the state’s CEOs and descendants of the city’s first business leaders. By far the most notable event to befall the Pulaski Heights area took place on March 31, 1960 when a B-47 bomber from Little Rock Air Force Base exploded overhead, killing three of the four crewmen aboard while two civilians on the ground were killed by debris and several homes were damaged. The nose cone was found in Allsopp Park while the surviving crewmember parachuted to safety. A pilot’s body was found on the Pulaski Heights Athletic Field. Dedicated in 1931, the 150-acre Allsopp Park in Hillcrest was named for resident Frederick Allsopp, who urged the city to acquire and develop the ravines near his home. 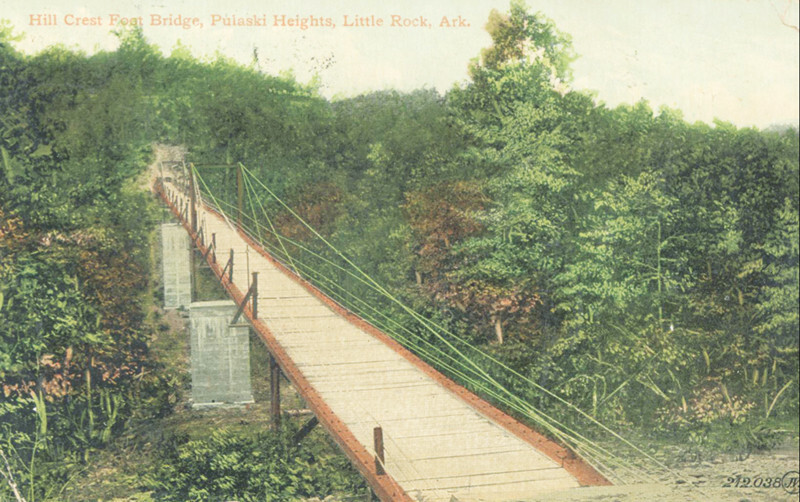 Shown here in an undated postcard, the Allsopp Park suspension footbridge was built in 1906 to allow Hillcrest Addition residents easier access to the Kavanaugh Streetcar stop. Today, all that remains of the bridge are the concrete piers. One of the most notable historic events to befall Pulaski Heights occurred in 1960, when a B-47 bomber from Little Rock Air Force base exploded overhead, killing crewmen and civilians. The nose cone was found in Allsopp Park, as shown in this photo that originally appeared in the Arkansas Gazette. With its swank country club, chic boutiques and larger, slightly more expensive homes, the Heights has an upscale feel at times, but it also attracts young families and couples entranced by the character of the homes, people seeking a suburban experience in the heart of the city. Residents rarely have to leave the neighborhood to shop, exercise or grab dinner, and should the urge to go elsewhere arise, the neighborhood’s central location is just minutes from downtown Little Rock and Midtown. As in the Heights, most of Hillcrest’s amenities are within walking distance and the neighborhood holds some of the city’s most historic and residential construction to the point that residents like to refer to it as the Hillcrest Historic District. Pulaski Heights and its distinct neighborhoods may have been slow-starting with that 11-year wait for the promised street car, but once development started there was no looking back. It grew from wilderness, to suburb to the heart of the city, and today it remains firmly in the hearts of the residents. 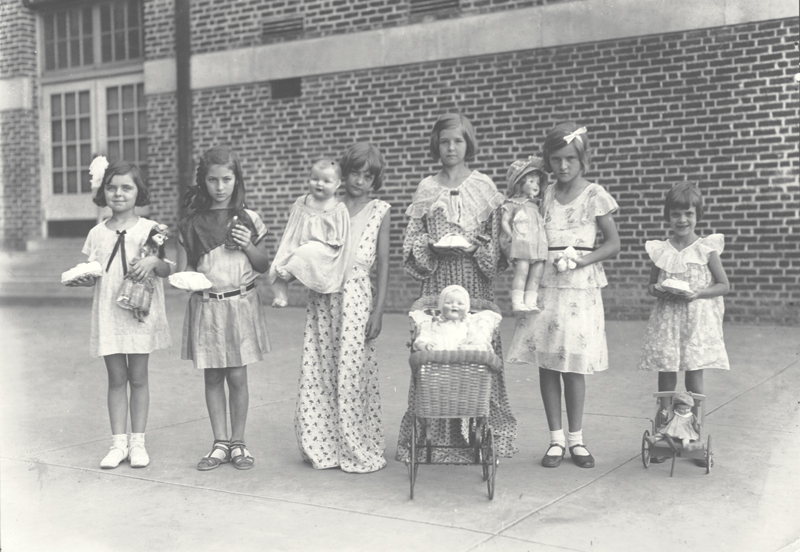 The Heights and Hillcrest have always hosted unique festivals and events, like this doll parade, the winners of which are shown in this undated photo.